Never before has Mt. 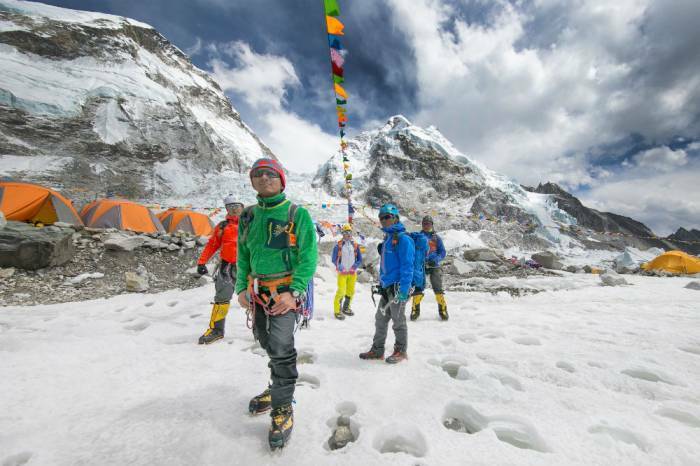 Everest had a dedicated team of Sherpas trained and ready to perform rescue operations. Until now. Everest Air is a six-part reality show, launching today, that follows the first dedicated team of search-and-rescue Sherpas. 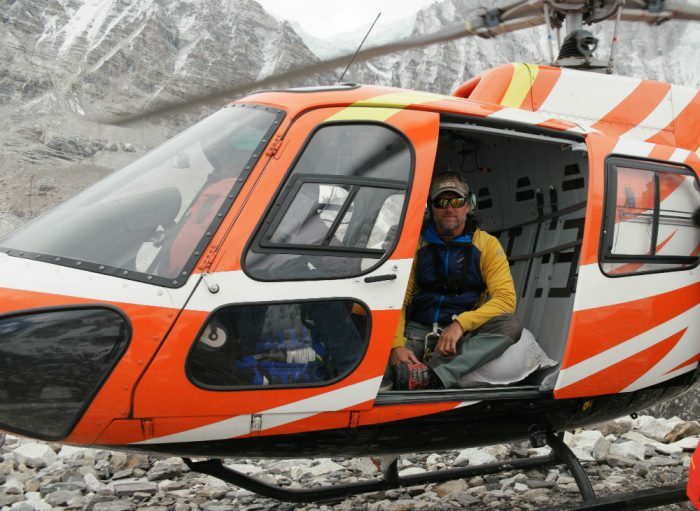 The team of five Nepalis, led by chief medic and Everest expedition veteran Jeff Evans, perform high-risk and stunning helicopter rescues during a typical (and treacherous) season on the storied mountain. According to Evans, the Travel Channel’s new series will show viewers not just the majesty and immensity of the Himalayas, but also the reality of life there. Mingma Sherpa, Bhaila Sherpa, Lakpa Sherpa, Nima “Ninja” Sherpa, and Ang Dorjee Sherpa are responsible for the Alpine Rescue Service team. Those five sherpas identified the need for a dedicated search-and-rescue helicopter team that wouldn’t require pulling other Sherpas and guides away from clients in times of need. Prior to Everest Air (“Khumbu Rescue,” Evans calls it), medics, climbers, and sherpas had to be called into action from their other duties in an emergency. They would assemble, coordinate, and execute rescues. But the dedicated SAR vision came with a big price tag. The helicopter fees alone topped $150,000, and that didn’t factor in salaries for the Sherpas, Evans, pilots, or ground crew. To cobble together the more than quarter-million dollars needed, the team hatched the idea to film their rescues and sell the rights. That plan funded the first season of rescues and the six-episode series that launches this week. Evans, who first visited Everest 17 years ago, has seen a dramatic evolution along the mountain. 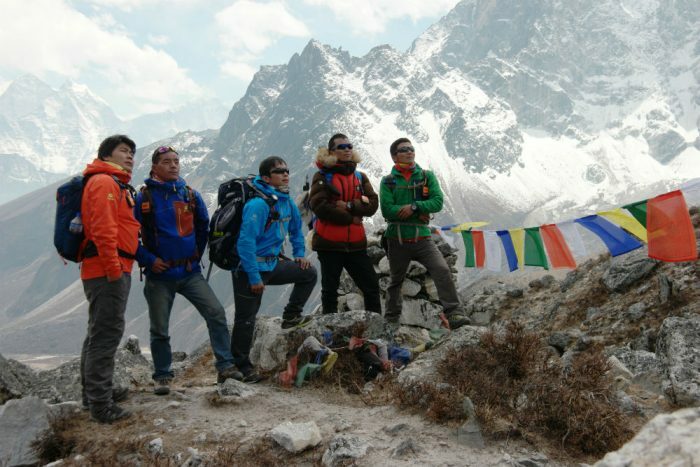 But quietly, the show’s crux is the evolution of the Sherpas. As Evans noted, there is an entirely new generation of Sherpa who realize, more than their parents, their importance to the Everest industry. In the last three years, younger Sherpa have begun pushing back against Western travelers, calling for respect and fair compensation. This comes on the heels of altercations with Western climbers and two tragedies, the 2014 avalanche, and 2015 earthquake. If successful, the show could spur further innovation along Everest. Maybe even further visitors’ respect on and for it. 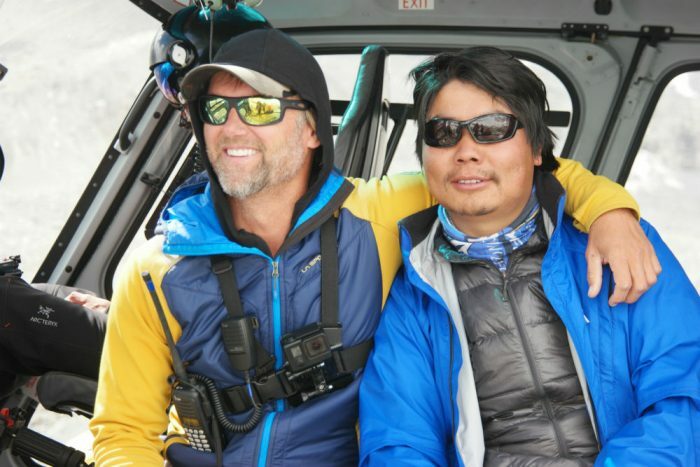 Everest Air premieres Oct. 26 on the Travel Channel at 10:00 p.m. EST.